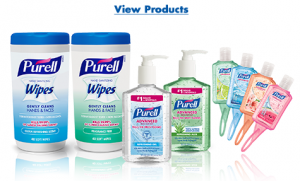 Take the 30-day Purell Challenge for your chance to win 1 of 3 daily prizes including a prize pack or a $100 prepaid gift card. Contest ends September 15th, 2015. Free Pack of Excel Lozenges with CIRCLE K! Save $1 on Tiger Strong Royale TIGER TOWELs!